In lieu of flowers memorials can be made in Carolin's name to the Church. (nee Turenske) March 29, 2016. Age 93 years. Preceded in death by her beloved husband Henry Schroeder. Cherished mother of Henry W. (Jean) Schroeder and Thomas (Patricia Archie) Schroeder. Loving grandmother of Andrea Jimenez, Heather Schroeder and Candace (Alex) Lopez. Great-grandmother of Tyler, Alexandra, Olivia, Eddy, Miranda, Gabriela, Alaina, Ayrianna, McKenna, Selena and Rolando. 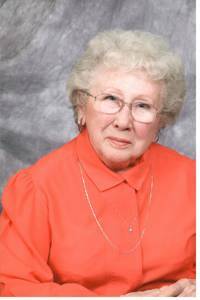 Dear sister of the late Bill Turenske, Bob (Mary) Turenske, and Dolores (Joe) Edlhuber. Further survived by other relatives and friends. Visitation Saturday, April 2, 2016 at Unity Ev. Lutheran Church 1025 E. Oklahoma Ave Milwaukee, WI 53207 from 10:00 AM until time of the Funeral Service at 11:00 AM. Interment Woodlawn Cemetery.